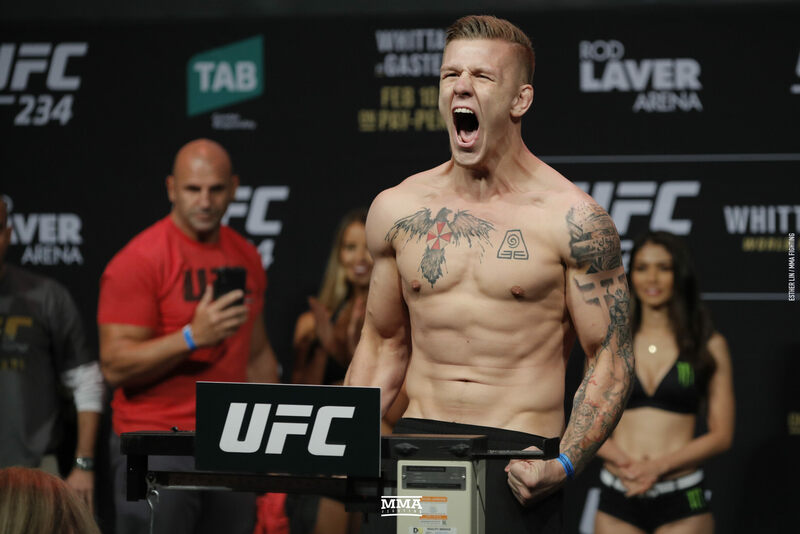 UFC 234 weigh-in photos are for Friday’s UFC event in Melbourne, Australia. 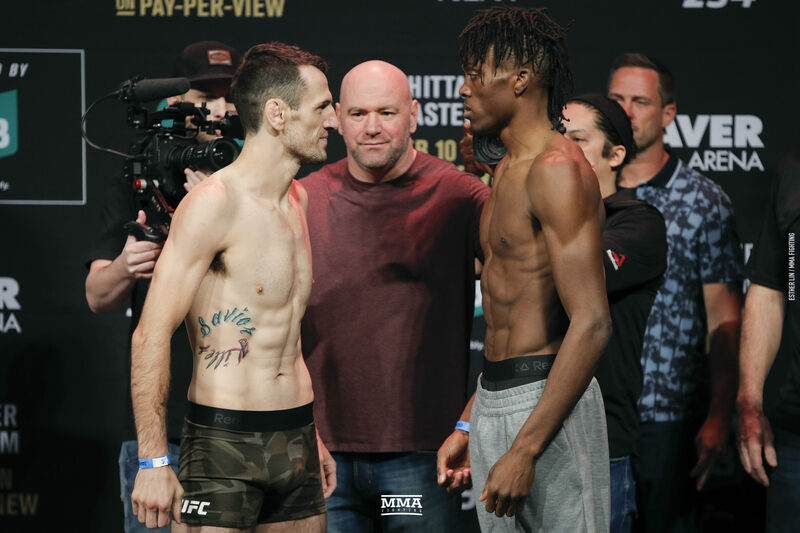 Wuliji Buren squares off with Jonathan Martinez at UFC 234 weigh-ins. 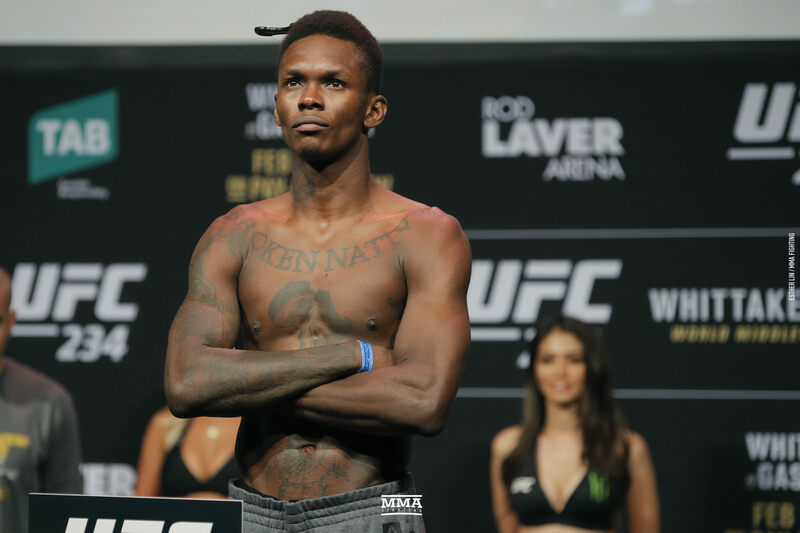 Callen Porter squares off with Jailin Turner at UFC 234 weigh-ins. 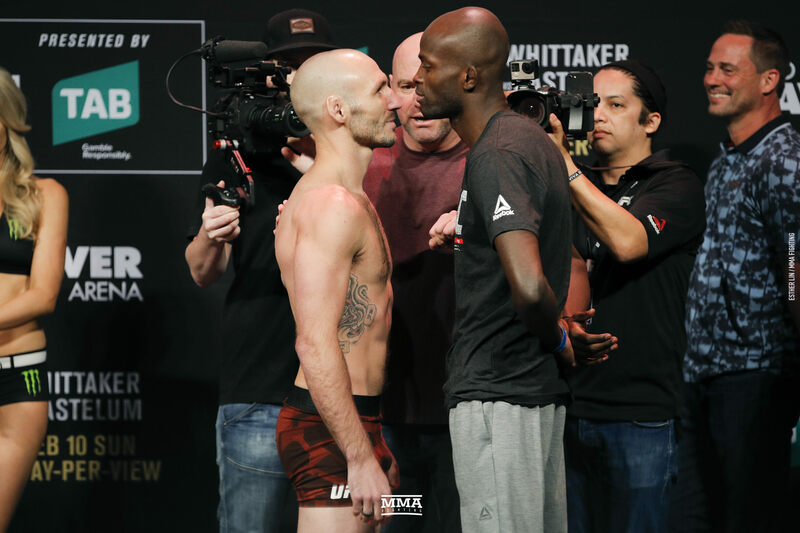 Lando Vannata squares off with Marcos Mariano at UFC 234 weigh-ins. 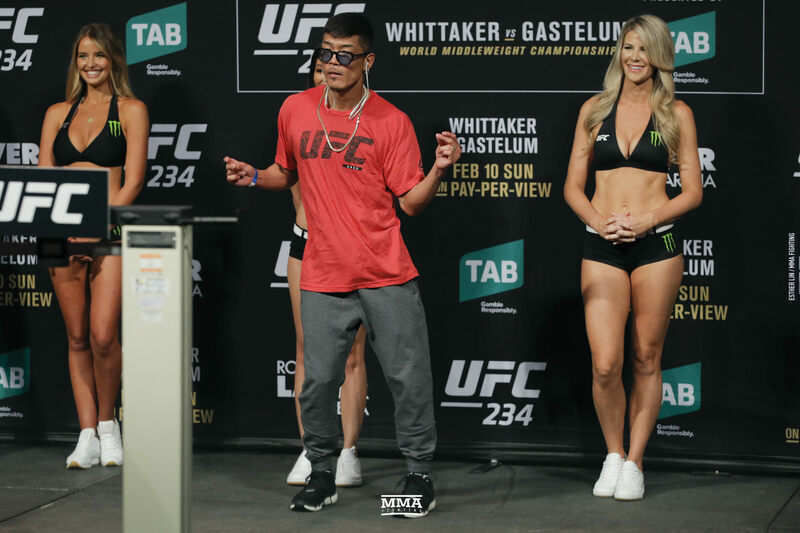 Teruto Ishihara dances on stage at UFC 234 weigh-ins. Teruto Ishihara and Kyung Ho Kang square off at UFC 234 weigh-ins. 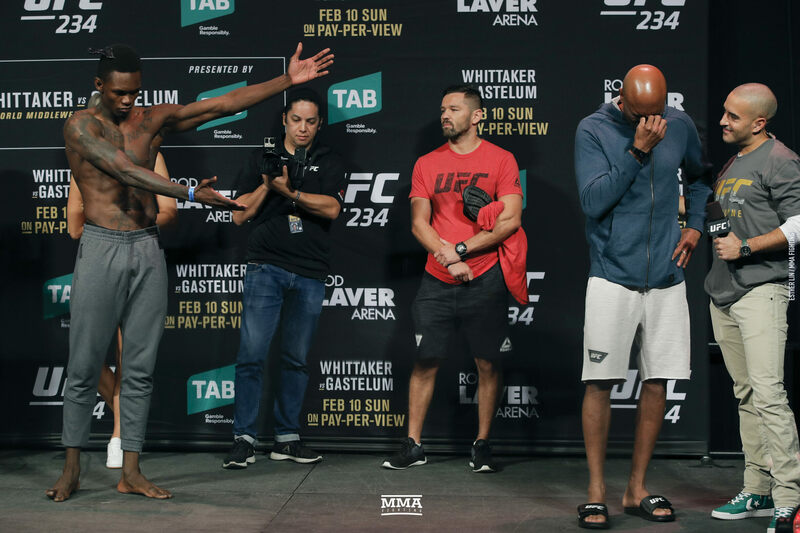 Kai Kara-France and Raulian Paiva square off at UFC 234 weigh-ins. 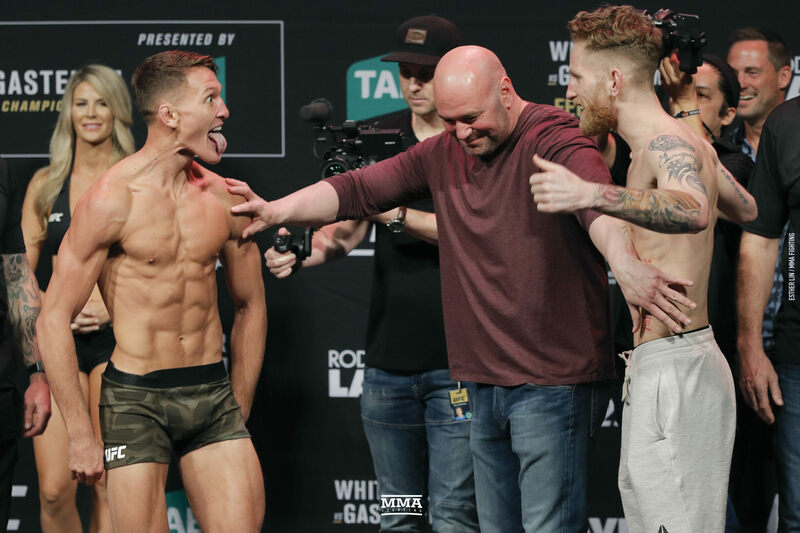 Shane Young and Austin Arnett square off at UFC 234 weigh-ins. 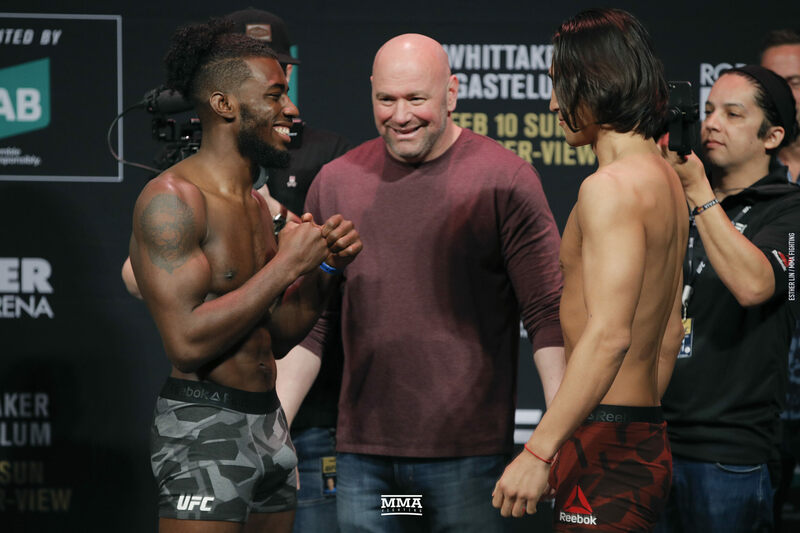 Devonte Smith and Dong Hyun Ma square off at UFC 234 weigh-ins. 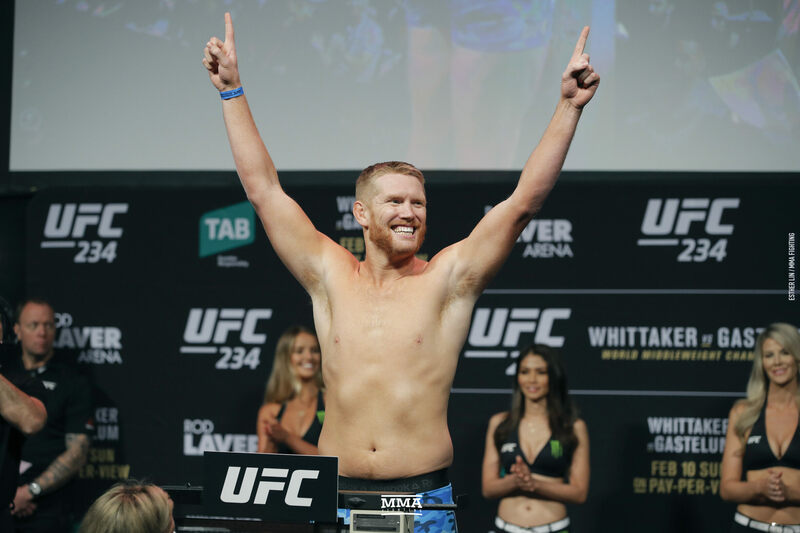 Sam Alvey poses at UFC 234 weigh-ins. 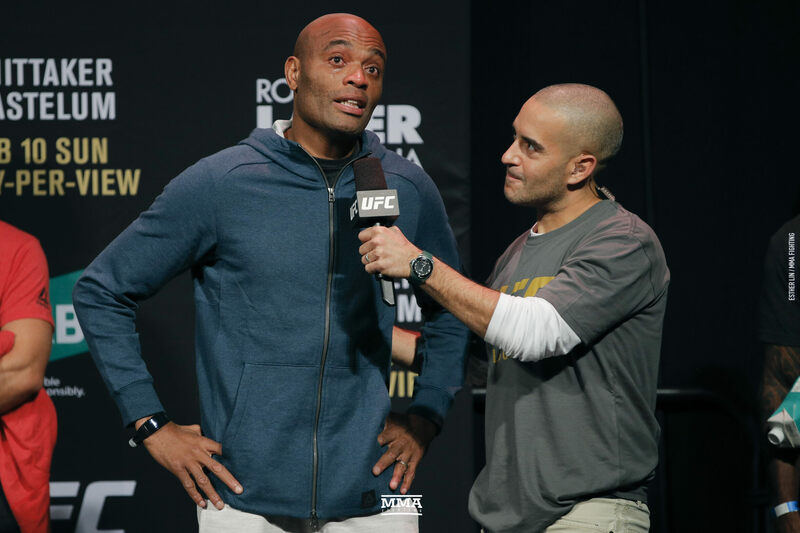 Jim Crute poses at UFC 234 weigh-ins. 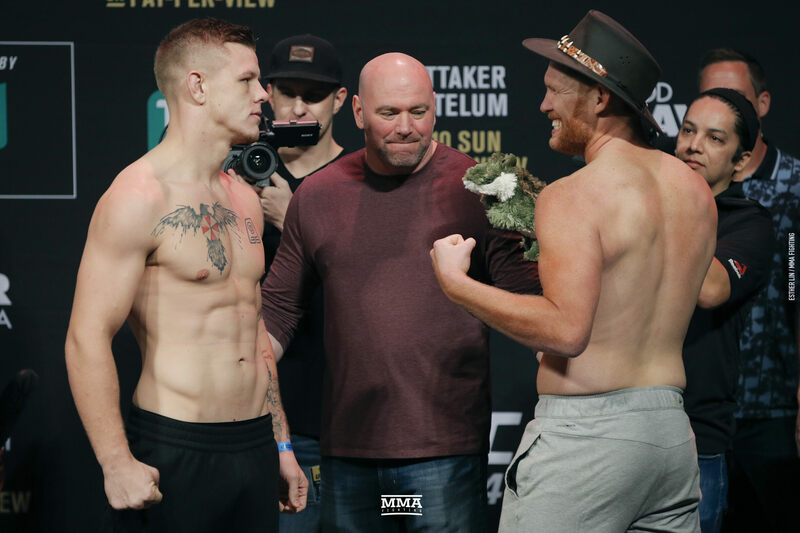 Jim Crute and Sam Alvey square off at UFC 234 weigh-ins. 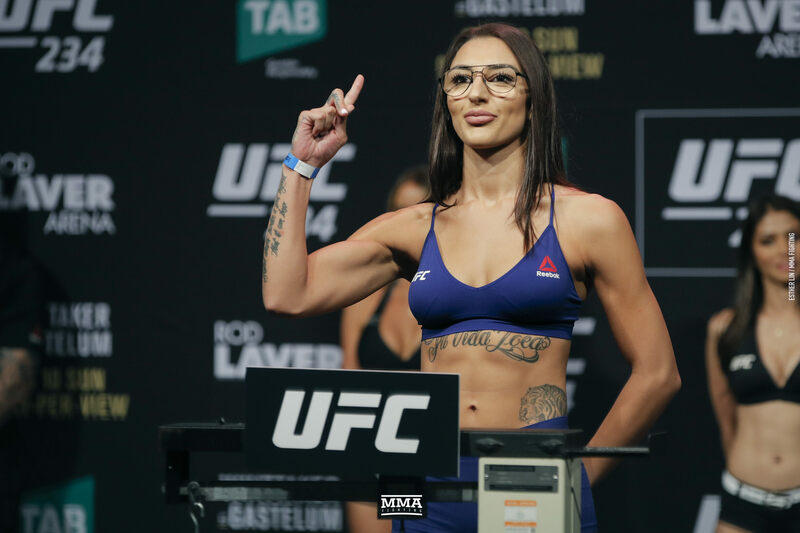 Nadia Kassem poses at UFC 234 weigh-ins. 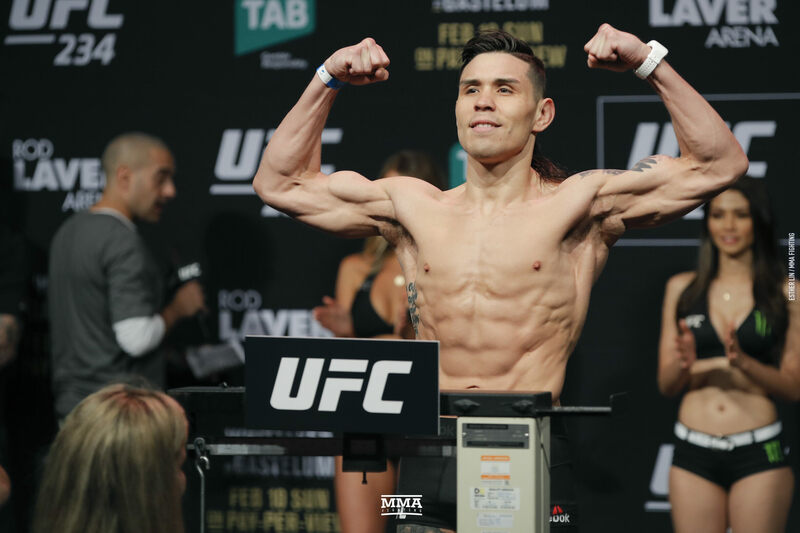 Montana De La Rosa poses at UFC 234 weigh-ins. 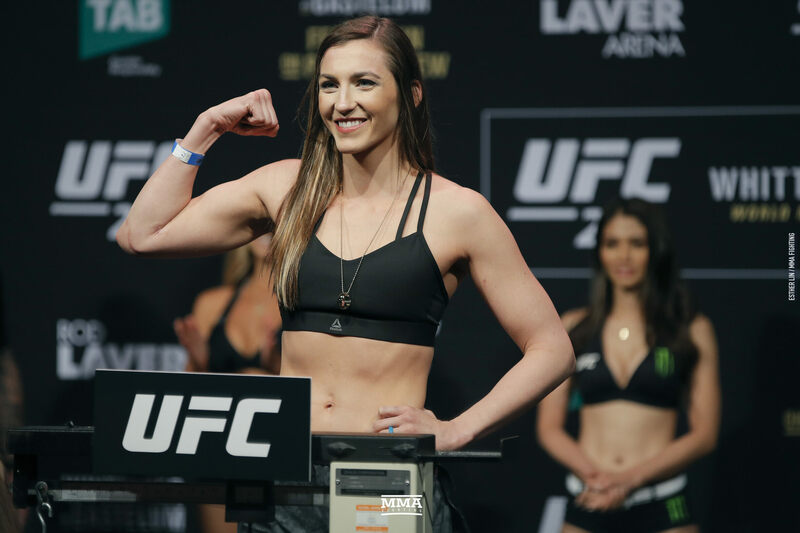 Montana De La Rosa and Nadia Kassem square off at UFC 234 weigh-ins. Ricky Simon poses at UFC 234 weigh-ins. Rani Yahya poses at UFC 234 weigh-ins. 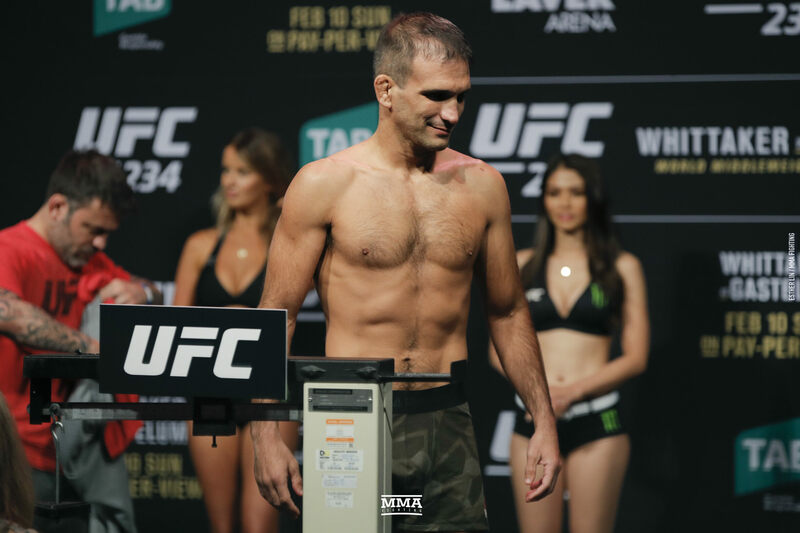 Rani Yahya squares off with Ricky Simon at UFC 234 weigh-ins. 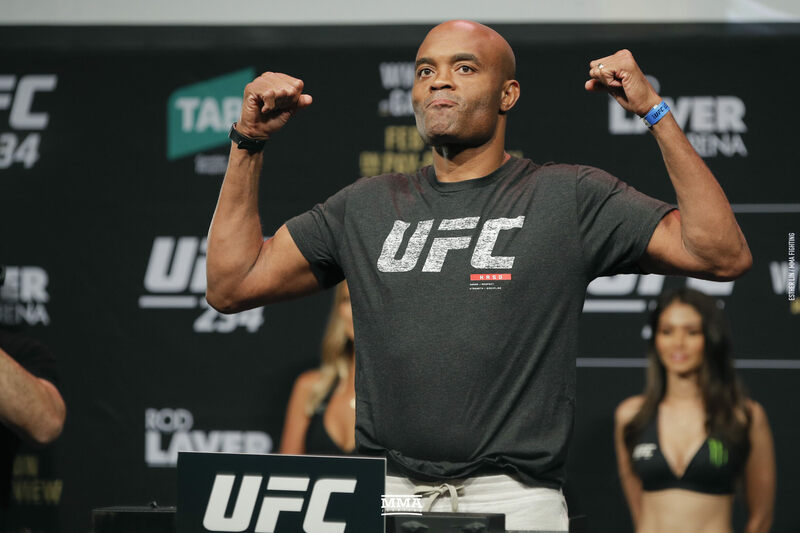 Anderson Silva poses at UFC 234 weigh-ins. 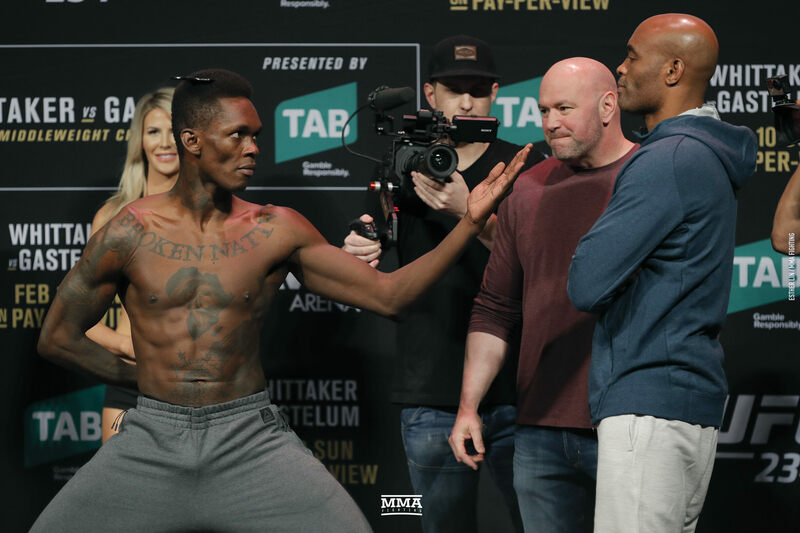 Israael Adesanya poses at UFC 234 weigh-ins. 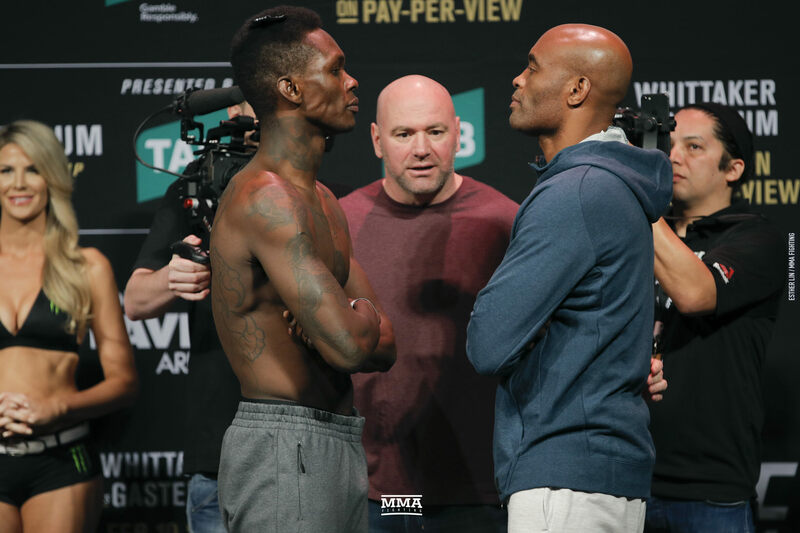 Israel Adesanya squares off with Anderson Silva at UFC 234 weigh-ins. 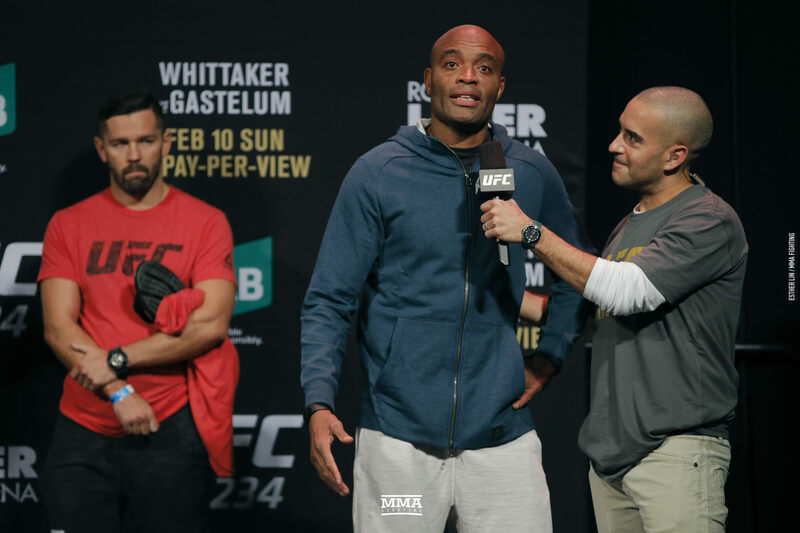 Anderson Silva gets emotional at UFC 234 weigh-ins. 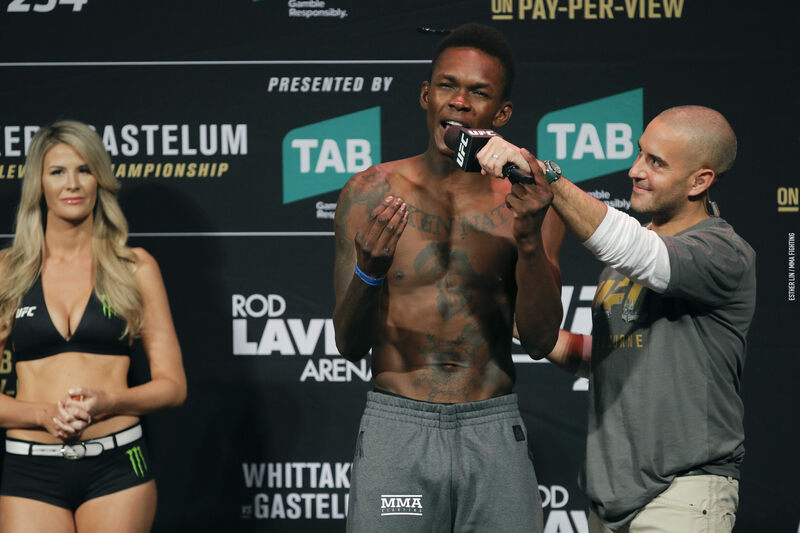 Israel Adesanya gets emotional at UFC 234 weigh-ins. 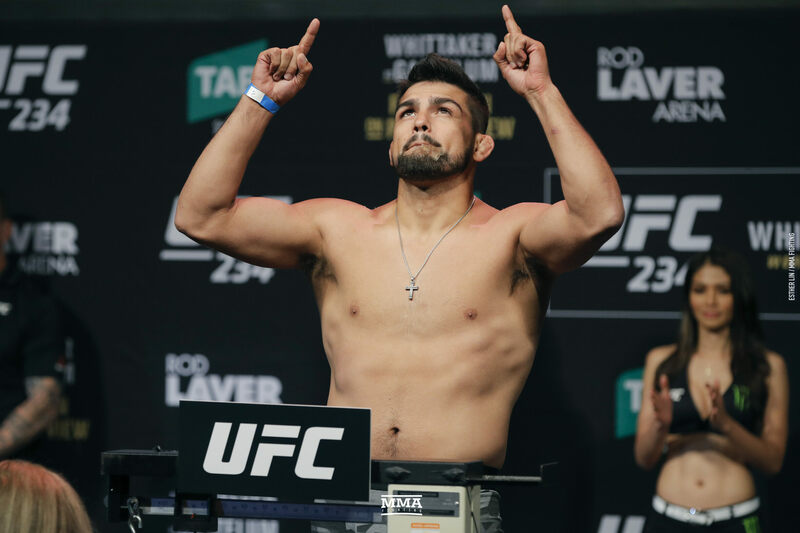 Kelvin Gastelum poses at UFC 234 weigh-ins. 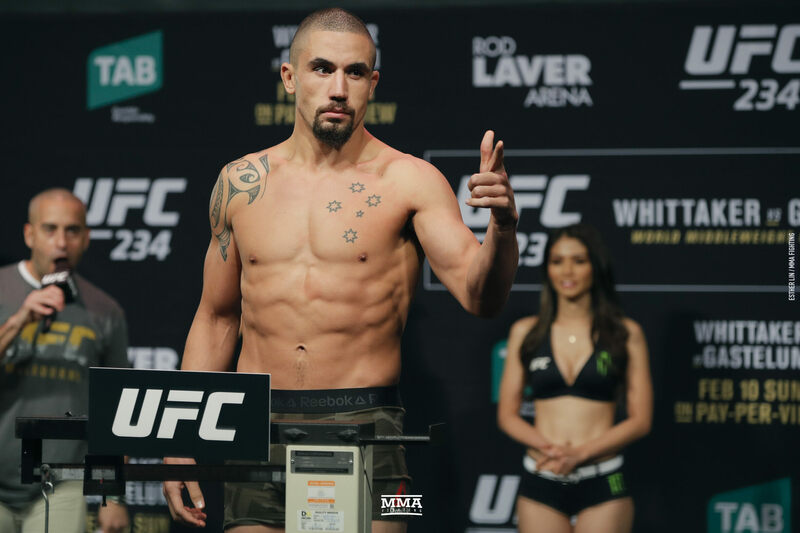 Robert Whittaker poses at UFC 234 weigh-ins. Robert Whittaker is pumped up at UFC 234 weigh-ins. 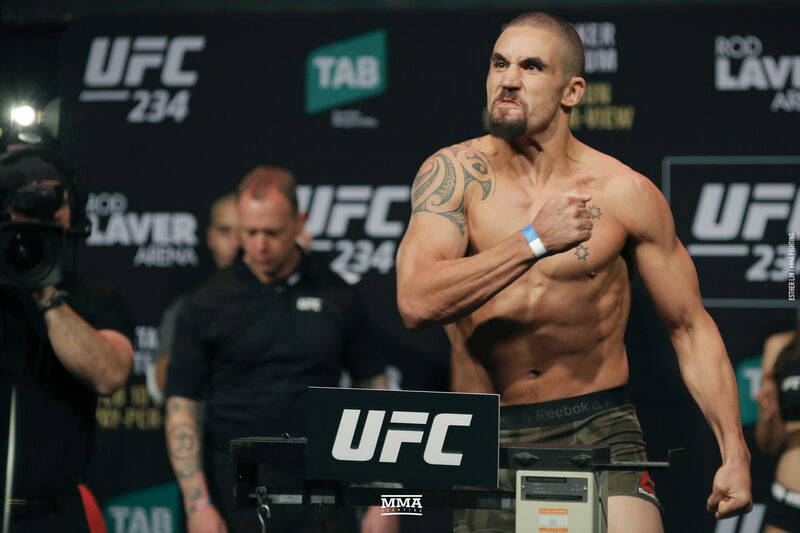 Robert Whittaker and Kelvin Gastelum square off at UFC 234 weigh-ins.